Has anyone heard of the dybbuk box? Ghost adventures are having a 4 hour special on Halloween and Zak is gonna open it on live TV. The commercials they're putting on the travel channel are saying they're not responsible for anything that happens if you watch it. What a jerk. I mean, if it holds something so dangerous, why would he open it. I don’t understand. 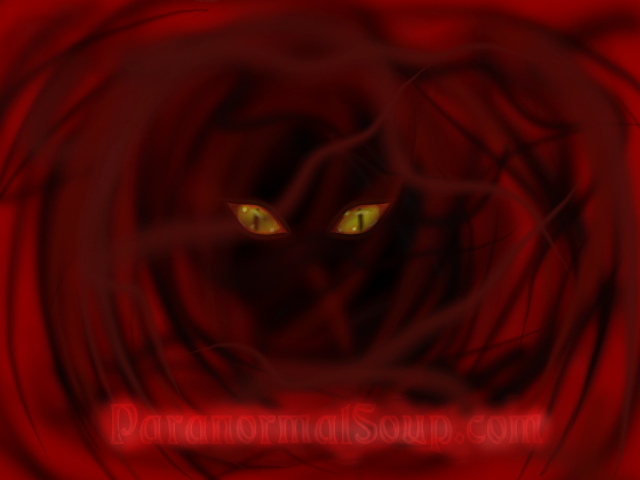 If I had something that housed an evil spirit there is no way I’d risk letting it loose. I came across this while researching back in 2012. The link below from Wikipedia has some good information. I know Paranormal Witness did an episode in Season II, Episode IV. It seems it's still hosted on DailyMotion for the curious minded. Lorac coins its perfectly. It's all about ratings and Halloween offers a good time to exploit it. BTW - Zack Bagans now owns the box. Leave it to Zac, an accomplished paranormal actor to publicize the "Don't Pull This String" gag. Thanks for sharing Klainey, I needed to revisit the haunted Jewish wine box or is that spelled "whine". Nothing more dangerous than a spirit drinking spirits. Paranormal entertainment at it's finest. Edited by EVP, 23 October 2018 - 04:00 AM. Of course nothing will actually happen. But I'm betting Zak pretends he feels ill, or gets possessed, like he seems to every other episode. Few weeks back on Twitter I asked Adam Berry/Amy bruni why on some shows, everything is always demonic, and on shows like theirs (Kindred Spirits) they haven't run across or claimed anything was evil or demonic. Adam said it's because of different investigative approaches. Pretty sure he was playing nice, not wanting to publicly start any feuds by saying anything negative towards Zak or other para-celebrities. Zak opened the dybbuk box when Post Malone visited him, and he's been having bad luck ever since. Many years ago we had a major network show film at two of our mainstay haunts. We regularly investigated an 18th century Palladian mansion and an abandoned 19th century schoolhouse over several years.The schoolhouse was going threw a restoration process by a local historical society. I can't be certain how many times we investigated but in was in the teens. Nonetheless, we never really had anything violent or unusual happen except an occasional EVP mostly from what sounded like young kids which made perfect sense considering the age bracket that attended when in use. We were not allowed to participate or watch during the filming at the school. In fact, we were only permitted to park on the public street while the shoot was taking place. Our team decided to just stay clear of the location entirely because there would be little that would interest us from our vantage point. Edited by EVP, 23 October 2018 - 04:52 PM. Someone has already let the cat out of the bag...uh, I mean the demon out of the box? So, how did it get back in the box? This all seems like a big game to Zac. i think that paranormal witness one was where the blokey woke to see what looked like an old hag lol i think I saw that about 2 years ago over the xmas holiday when paranormal witness came on alot. I liked the one 'harpy' I thought that was creepy. i had a film 'possession' that was based around the dybbuk box. I'm not sure what to think about it but it sounds risky a bit like with the ouija board yeah. I saw most of the show last night. I kinda felt embarrassed for Josh Gates being involved in this, likely the Travel Channel having their hosts cross-promote shows. It was a pretty bad show, with dueling witches, Zak feeling ill in different ways in almost every room he visited, everyone acting overdramatic, and it seemed scripted and planned out in advance. During the show a rabbi was called in to seal the box if Zak opened it. At one point on live tV, the rabbi asked Zak if he should stick to the script!